Fighting cavities have never been more fun! 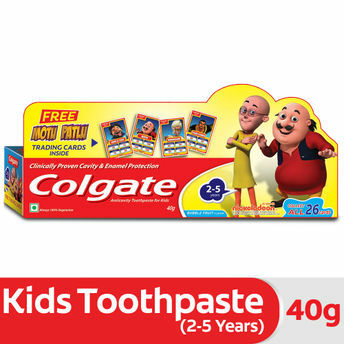 Colgate Toothpaste, Bubble Fruit flavor is specially formulated for kids of 2 to 5 years of age. It is designed with the expertise of pediatric dentist to meet the special needs of milk teeth. 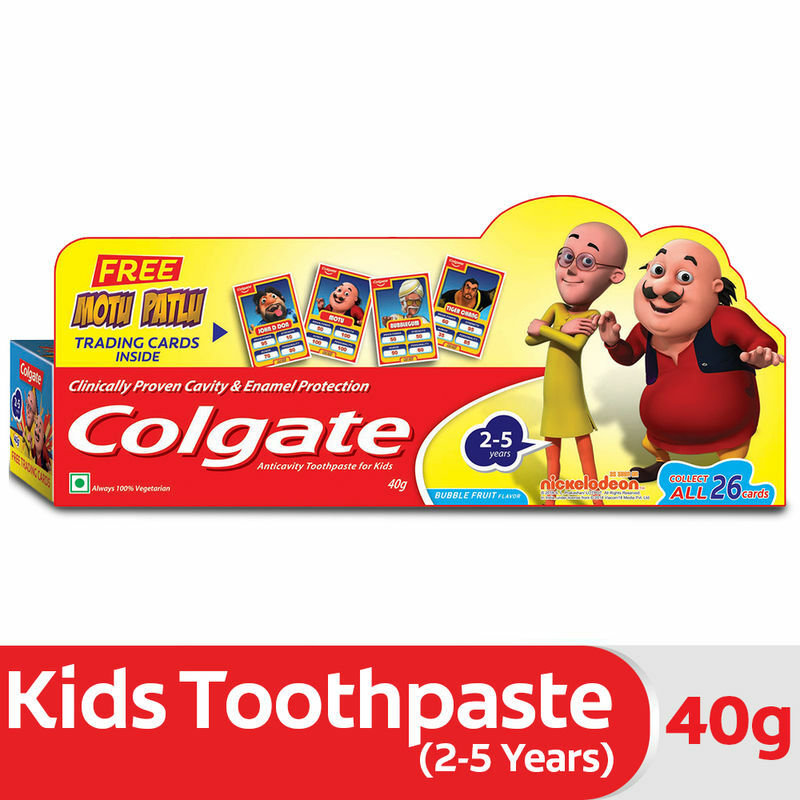 The special formulation of ColgateA s range of toothpaste for kids is mild and safe to use on childrenA s teeth and gums to effectively fights germs and cavities. The kid's toothpaste comes in a convenient stand-up tube making it easy to handle and fun to use for kids. About the Brand:Trusted by Millions across the world, Colgate-Palmolive is a global household and consumer care brand producing safe and effective personal care products. From oral care to personal care, from home care to pet nutrition, Colgate-Palmolive makes the products that make you smile. Colgate is No.1 toothbrush and toothpaste brand, offering quality oral care products, including toothpaste and toothbrushes, as well as expert dental health information.